Spring time at the beach is made up of warm breezes and lazy days full of sunshine and beautiful weather. The azaleas are in full bloom and it is time to stroll about town and experience one of the many upcoming festivals in our area. There are things for everyone to enjoy. The fun is starting this weekend Saturday April 13th with the Pleasure Island Chowder Cook-Off, a day of delicious local food and music around the Lake Park in Carolina Beach. 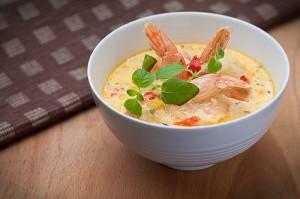 Taste and vote on the best chowder in the Cape Fear region prepared by some of our favorite chefs. The town will be hopping with excitement for the annual North Carolina Azalea Festival in Wilmington starting Wednesday April 10th and going on all weekend long through April 14th. The Azalea Festival is an annual tradition that hosts concerts, parades and a street fair complete with Southern Belle’s and garden tours. 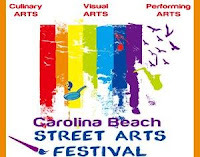 It is a great time to make plans now to attend the Cape Fear Street Arts Festival in Carolina Beach on Saturday May 18th. This free event takes place on Cape Fear Boulevard near the gazebo. Artistry of all kinds will be on display including visual, culinary and performing! Dancing, music and art come to the beach! This entry was posted in Azalea Festival, Cape fear street arts festival, pleasure island chowder cook-off, spring by admin. Bookmark the permalink.